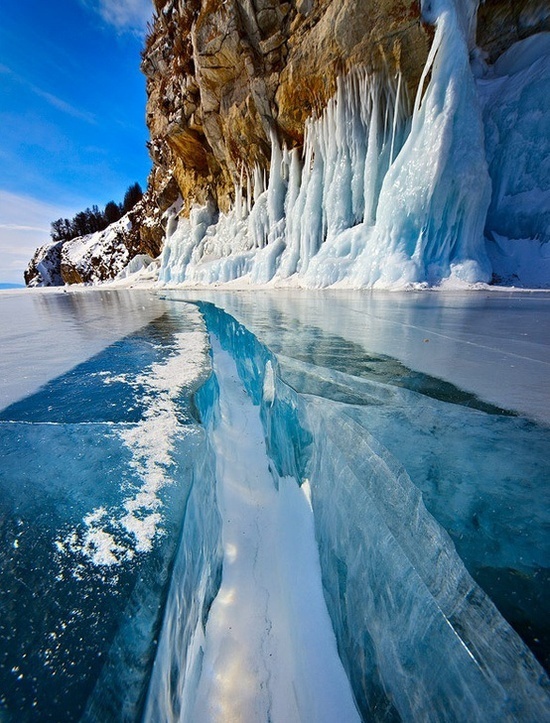 Lake Baikal is a rift lake in the south of the Russian region of Siberia, between the Irkutsk Oblast to the northwest and the Buryat Republic to the southeast. Lake Baikal is the most voluminous freshwater lake in the world, containing roughly 20% of the world's unfrozen surface fresh water, and at 1,642 m (5,387 ft), the deepest. It is also among the clearest of all lakes, and thought to be the world's oldest lake at 25 million years.